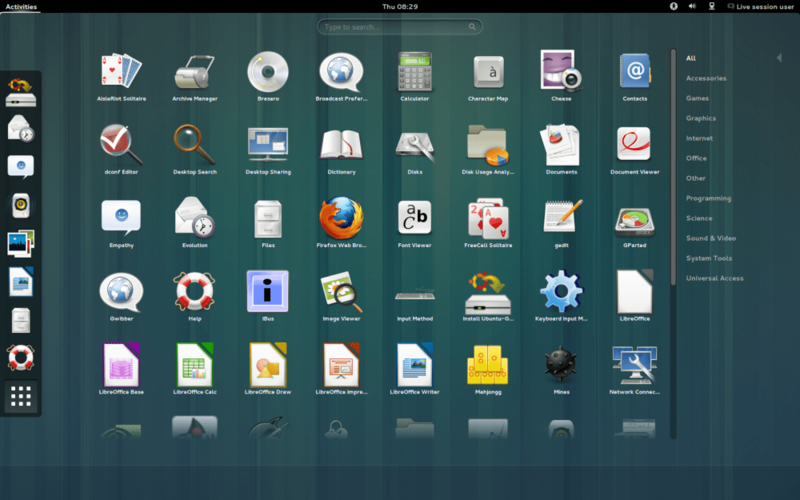 Few days, canonical anounced and released the new Ubuntu Gnome 13.04 Raring ringtail daily images. It available in 32-bit and 64-bit images available for download and testing. The daily builds are provided mostly for developers, but they can be downloaded by normal user who wants to test the new preview of the new release. Ubuntu Gnome 13.04 Raring Ringtail project derived the new official Gnome Shell as the default desktop environment. Ubuntu Gnome 13.04 Raring Ringtail will not have Unity and Compiz removed to make way for Gnome Shell and the main applications developed by Gnome such as the Evolution mail client and other. “Currently we have 32-bit and 64-bit images available for download and testing. We do not plan to release PowerPC or “amd64+mac” images unless a group of volunteers commits to test these images for each of the Ubuntu release milestones we participate in,” stated the developers in a Google Plus entry.